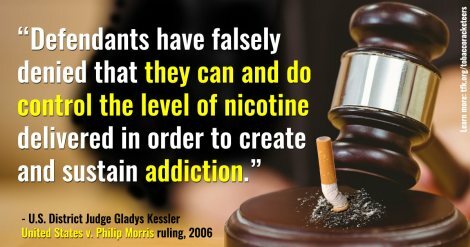 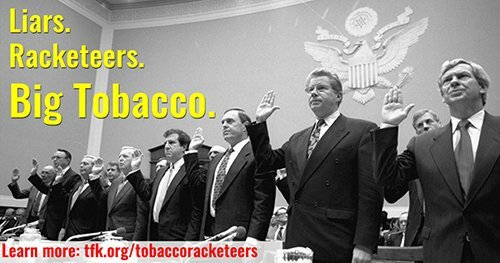 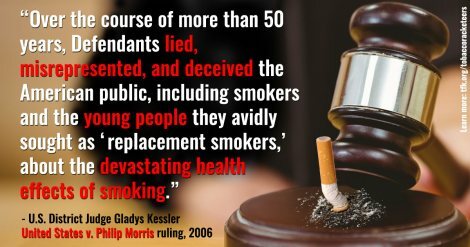 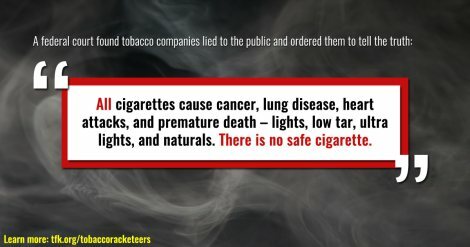 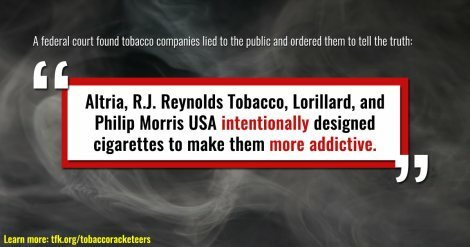 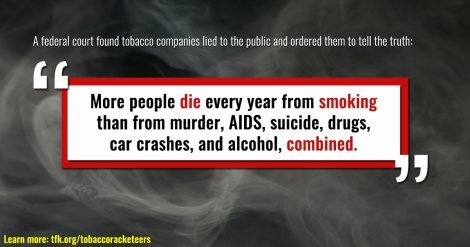 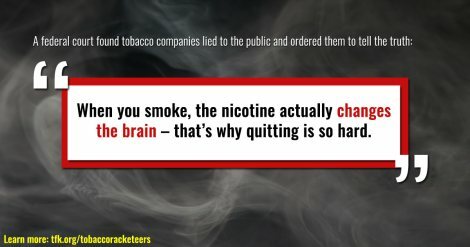 Starting on November 26, 2017, the major U.S. tobacco companies must begin running court-ordered television and newspaper ads that tell the American public the truth about the dangers of smoking and secondhand smoke. 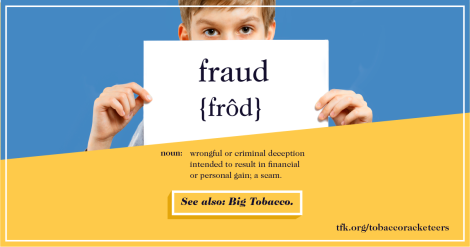 The ads – called corrective statements – will run in print and online in about 50 newspapers. 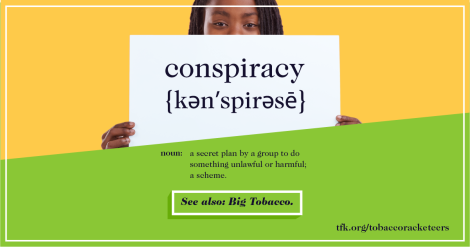 They will also run for one year on the major television networks during prime time. 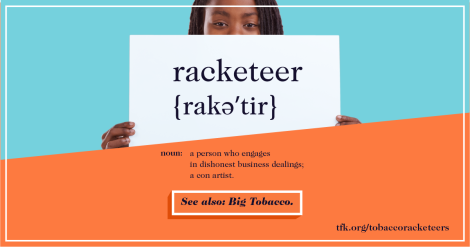 Below are suggested social media graphics and language for use on Facebook and Twitter. 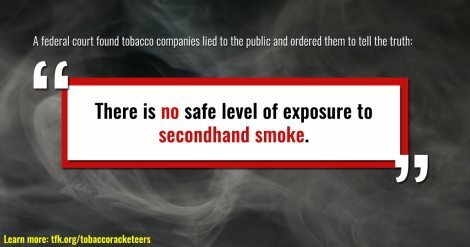 The corrective statement TV ads themselves can be shared directly on Facebook and Twitter.